Hallstatt is a small town in the district of Gmunden, in the Austrian state of Upper Austria. Situated between the southwestern shore of Hallstätter See and the steep slopes of the Dachstein massif, the town lies in Salzkammergut region, on the national road linking Salzburg and Graz. 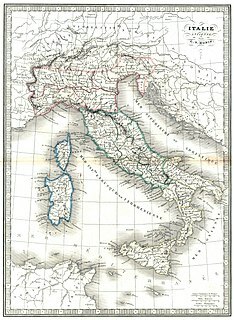 The Villanovan culture was the earliest Iron Age culture of Central Italy and Northern Italy, abruptly following the Bronze Age Terramare culture and giving way in the 7th century BC to an increasingly orientalizing culture influenced by Greek traders, which was followed without a severe break by the Etruscan civilization. 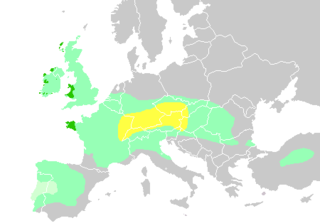 The Villanovan culture and people branched from the Urnfield culture of Central Europe. The Villanovans introduced iron-working to the Italian Peninsula, and they practiced cremation and buried the ashes of their dead in pottery urns of distinctive double-cone shape. 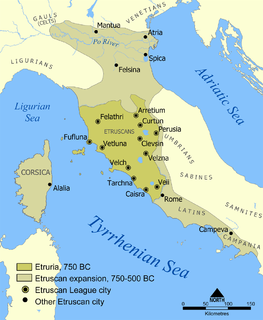 Villanovan culture is regarded as the oldest phase of Etruscan civilization. Situla, from the Latin word for bucket or pail, is the term in archaeology and art history for a variety of elaborate bucket-shaped vessels from the Iron Age to the Middle Ages, usually with a handle at the top. All types may be highly decorated, most characteristically with reliefs in bands or friezes running round the vessel. The House Urns culture was an early Iron Age culture of the 7th century BC in central Germany, in the Region between Harz Mountains and the junction of river Saale to river Elbe. 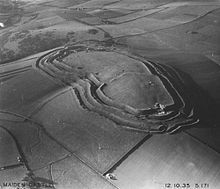 It was the western periphery of the bronze and Iron Age Lusatian culture. Iron Age Scandinavia refers to the Iron Age, as it unfolded in Scandinavia. The Keltenmuseum in Hallein near Salzburg contains major discoveries from the La Tene period of the Iron Age which come from burials in the area surrounding the nearby Hallein Salt Mine, at Dürrnberg. The Museum was founded in 1882 and was housed in the Bürgerspital. In 1930 it was moved into the Rathaus and from 1952 occupied a gateway of the town or stadt's fortifications. In 1970 the name was changed to Keltenmuseum and the museum was moved into the former Salt Offices on the Pflegerplatz, which fronts the river Salzach. In 1980 the Museum staged a major exhibition "Die Kelten in Mitteleuropa", which demonstrated the wealth of discoveries that were being made at the Hallein. In 1993-4 the Austrian architect Heinz Tesar drew up plans for the conversion and extension of the Museum and on 1 January 2012 the Museum became a constituent part of Salzburg Museum.